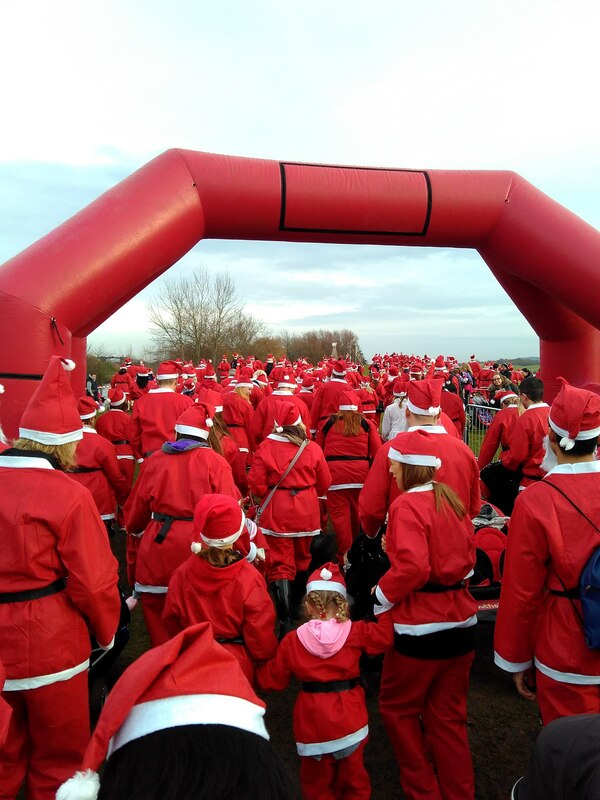 The 2016 Santa Run & Walk was successfully held in Holme Pierrepont National Watersports Centre of Nottingham on 10 December. Everyone came as Santa Claus and ran 3 kilometres to raise money for Rainbows Hospice for Children, a charity group which helps kids. Everyone received a Santa Claus suit when they registered. During the run, some ran and others walked. Everyone was smiling because it was a fun event and it raised funs for charity too. It is an activity that is suitable for everyone, including families and friends. A lot of children joined and played happily with their parents. If you join this kind of event with your friends, you will definitely have a memorable experience! During the event, you can talk with friends and play games. After the event, taking pictures and videos are interesting! I just went to the event with my friends and we took loads of pictures when we were in our Santa suits. If you think the Santa Run & Walk is only suitable for people to join, then you are wrong! Pets are allowed to join in too! They too put on Santa's suits and ran with their masters. 3km is not a long distance and everyone can finish it in a short period of time. At the end, everyone received a medal. The organisation is going to hold Santa Run & Walk--Mince Pie Edition next year! It seems interesting, right? All participants will attempt to eat 1 mince pie per kilometre. Don't hesitate, go and join it.